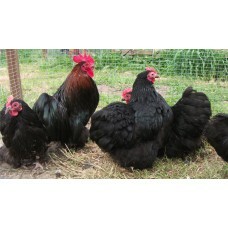 The cockerel in the pen is now a pure black one so there are pure black chicks from these birds. 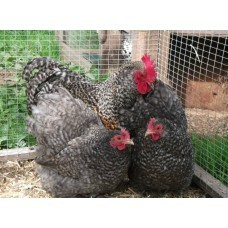 I w..
CUCKOO PEKIN BANTAMS We have 2 hens with a cockerel here, they have started laying over the last.. 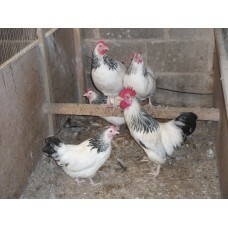 Pretty birds which lay a pale brown egg. 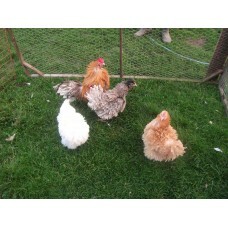 Our birds do not have the show quality yellow leggs. 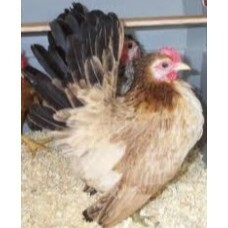 Th..
A Docile bantam we have found which lays a good size egg for the size of the hen.These hens can b..
Pavloskaya Large Bantams Lay a medium size egg which is cream in colour. 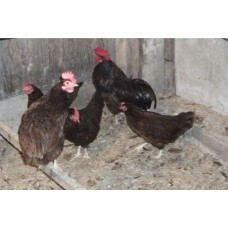 the hens and cockerels are ..
POT LUCK BANTAM EGGS WILL BE ANY WHICH ARE LEFT OVER FROM THE OTHER EGG ORDERS.THESE ARE NOT CROSS B..
A lovely dark brown bird which lays pale brown eggs and of a good size for a bantam. 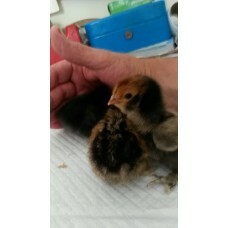 The cocker.. 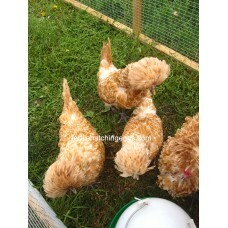 These bantams are classed as Miniature by most people as these are the smallest bantam it is possi..